Below you fill find all funeral homes and cemeteries in or near Mountain Grove. Suburbs of Mountain Grove: Manes, Mountain Grv. Zip codes in the city: 65711. Some of the notable people born here have been: (don faurot), (russ dugger), (hooks iott), (andy bryant), and (don warden). 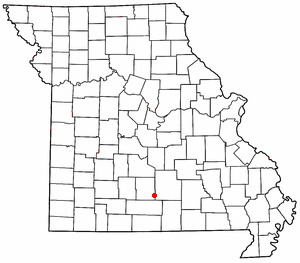 Mountain Grove is a city in Texas and Wright Counties in the U.S. state of Missouri, located in south central Missouri. The population was 4,789 at the 2010 census. It was written on November 26th, 2018 that Evertt Wayne Harris passed away in Claremont, Illinois. Harris was 45 years old and was born in Mountain Grove, MO. Send flowers to express your sorrow and honor Evertt Wayne's life. It was revealed on July 14th, 2018 that James Ellis passed away in Mountain Grove, Missouri. Ellis was 82 years old. Send flowers to express your sympathy and honor James's life. It was revealed by Stevens Point Journal on May 1st, 2018 that Douglas Howard Jones died in Wisconsin Rapids, Wisconsin. Jones was 65 years old and was born in Mountain Grove, MO. Send flowers to share your condolences and honor Douglas Howard's life. It was revealed on February 21st, 2017 that Robert "Bob" Danburg perished in Mountain Grove, Missouri. Danburg was 79 years old and was born in Kearney, NE. Send flowers to express your sympathy and honor Robert "Bob"'s life. It was written on January 30th, 2017 that Larry Henry perished in Mountain Grove, Missouri. Henry was 81 years old and was born in Monette, AR. Send flowers to express your sympathy and honor Larry's life. It was revealed by Current Local on January 19th, 2017 that Blanche Allcorn (Johnson) passed on in Mountain Grove, Missouri. Ms. Allcorn was 99 years old. Send flowers to share your condolences and honor Blanche's life. It was disclosed by The Californian on November 6th, 2015 that Robert Benjamin Gaddis passed away in Salinas, California. Gaddis was 71 years old and was born in Mountain Grove, MO. Send flowers to express your sorrow and honor Robert Benjamin's life. It was written on August 19th, 2015 that William Fredrick Sr "Bill" Offer passed on in Mountain Grove, Missouri. Offer was 88 years old and was born in Shreveport, LA. Send flowers to express your sympathy and honor William Fredrick Sr "Bill"'s life. It was noted by Superior Express on January 15th, 2015 that Colis F Campbell passed away in Kearney, Nebraska. Campbell was 88 years old and was born in Mountain Grove, MO. Send flowers to express your sorrow and honor Colis F's life. It was noted by Visalia Times-Delta on July 8th, 2014 that Lawana Rose Lee (Peterson) passed on in Farmersville, California. Ms. Lee was 75 years old and was born in Mountain Grove, MO. Send flowers to express your sorrow and honor Lawana Rose's life. The population was 4,574 at the 2000 census. Mountain Grove is a city in Texas County, Missouri and Wright County, Missouri Counties in the US state of Missouri, located in the southeast corner of Missouri. . . .
Funeral services will be held at 11 ... She attended several high schools but graduated in 1936 from Mountain Grove High School in Mountain Grove, MO. She became a cosmetologist after graduating from Pitze's School of Cosmetology at Waterloo, IA. Funeral services will be at 11 a.m. Monday ... She attended several high schools but graduated in 1936 from Mountain Grove High School in Mountain Grove, Mo. She became a cosmetologist after graduating from Pitzes School of Cosmetology at Waterloo. Here are the results for funeral homes in Mountain Grove Missouri. You can find some of the best funeral homes businesses serving Mountain Grove. Hurtt, Ben - Craig-Hurtt Funeral Home, Mountain Grove, MO : Reviews and maps - Yahoo! Local, 417.926.4111. Get Ratings, Reviews, Photos and more on Yahoo! Local. Craig-Hurtt Funeral Home, Mountain Grove, MO : Reviews and maps - Yahoo! Local, 417.926.4111. Get Ratings, Reviews, Photos and more on Yahoo! Local. Browse reviews of Mountain Grove Funeral Services & Cemeteries. Get business information, maps & more on Yelp. We work with local florists and flower shops to offer same day delivery. You will find budget sympathy flowers in Mountain Grove here. Our funeral flowers are cheap in price but not in value.